Black Panther: The World of Wakanda #6 Review – AiPT! I haven’t been checking this series out, but after Marvel sent us an exclusive preview I got hooked. The dialogue was crisp, the concept interesting, and then I read the damn thing. Is it good? With the recent Black Panther and Crew Black Panther seems more pertinent than ever. I’m curious how big a part he’ll play in Secret Empire given Cap is basically taking over the world. Outside of that, Rembert Brown has a street level hero on his hands that has a harder edge than Black Panther, but is a hero all his own. Kasper Cole is an intriguing character who is a cop, but also a family man. Well, he was, until he was kicked out of his house. He wants to see his wife and kid, but can’t, and yet he also wants to track down a criminal. There’s some detective work in play, but also some mentoring from Black Panther too. Brown writes a solid issue here, at first bringing us into Cole’s head, and then kicking things off in a superhero sort of way. He quickly encounters one of Spider-Man’s villains, uses intel there, and tracks down a target. Fans of the Marvel universe should note the Bar with No Name pops up, and with some quick wits our hero shows he’s worthy of being a superhero. Brown ends the issue with a surprising twist I didn’t see coming and the promise for more. Bring it on! The art by Joe Bennett is rock solid too. I really enjoy the White Tiger costume and how starkly white it is, making the eyes pop out. The action in this issue is sharp and easy to follow and there’s a neat effect used for “pure” vibranium. Technology looks very good in this issue as well. When Black Panther makes a hologram call for instance, it has a neat, almost digital noise effect instead of a pure see-through look. When the action kicks into high gear, Bennett has a killer double page layout that allows the fighting to look quite kinetic. At the same time, the art has a stable, grounded and realistic look and feel that suits the street-level heroics. Why are Black Panther’s ears down? The first two pages are exposition heavy, using a lot of captions to get the reader up to snuff on who our hero is and how his life is a bit harder than a conventional hero’s. The world spinning out of Black Panther is a compelling one that is clearly rife for new and interesting stories. 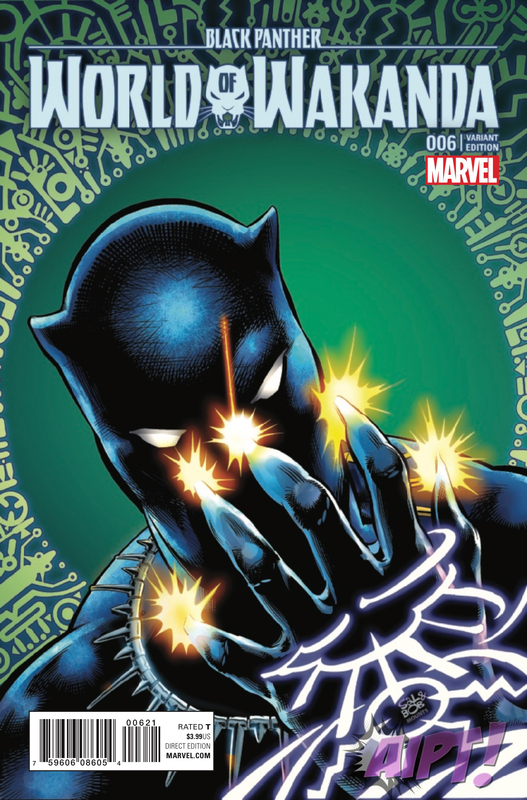 This is an interesting and exciting street-level hero comic that’ll draw you in with a relatable character who uses his wits to help Black Panther. Action is easy to follow and intense!